I love this. 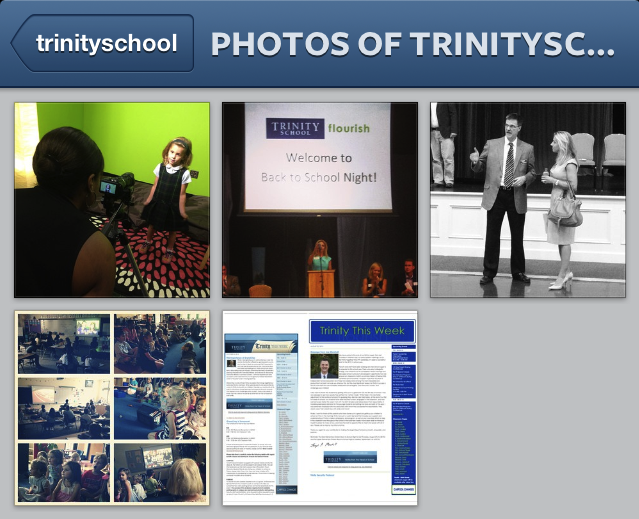 It’s a screenshot (web view) of Trinity’s Instagram account, which changes regularly as the photos rotate. It’s been exactly one month since I posted the first photo and it’s actually grown a little faster than I’d expected, with 76 followers currently. Instagram is a funny animal. 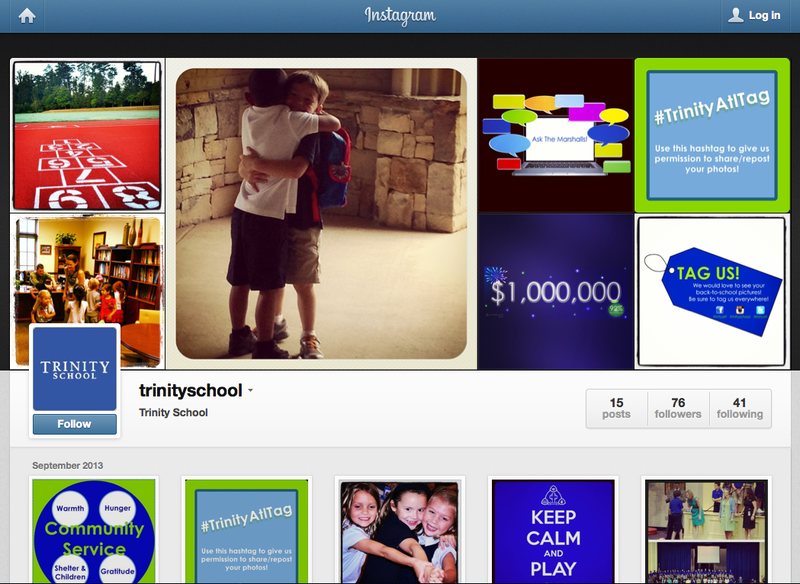 A few weeks ago, I mentioned that after posting the “Tag Us” graphic I created, four photos were tagged on Instagram. Well, if you go our account through the Instagram app and tap on the icon to see those photos, there’s a good chance you won’t see the ones I referenced. As of today, the photos below are what you would see (two of which I tagged myself), since none of them belong to private accounts. Since a lot of our users are private, their photos remain private, even if they tag someone (or some place). I guess Facebook works in a similar way. I certainly see the logic, but from the standpoint of trying to build an audience and sharing great content, I don’t like that at all. Similarly, it’s interesting to see how many people don’t want Trinity to follow them! It’s a balance, because I want to be courteous and follow back (as Trinity), but I don’t want people to feel awkward or as if “big brother” is trying to keep watch. I could be wrong, but it seems like Instagram content is held pretty sacred among users, more so than other platforms. 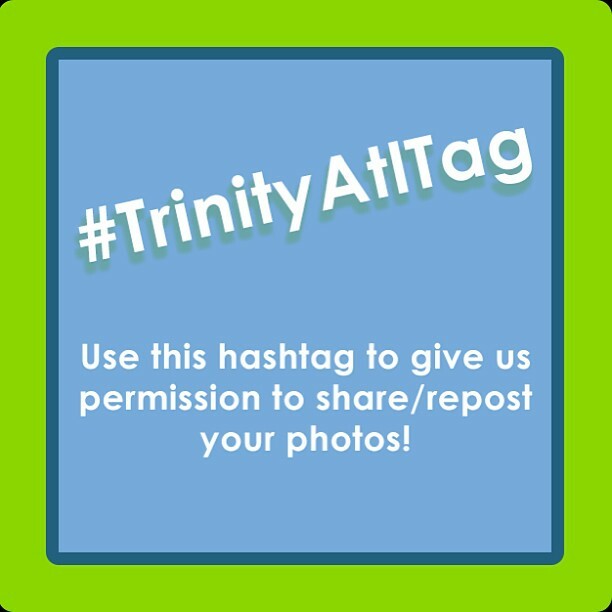 Regardless, I downloaded InstaRepost last week and posted this graphic (below) to encourage our followers to share with everyone when they tag us, not just with us. We’ll see how it goes!